Chris is a fifth-year seminarian in Cincinnati. Kathleen is a consecrated layperson at Regnum Christi in Cincinnati. Trevor Gundlach is a native of Wisconsin who loves to hike, bike, drink beer, and explore God’s creation. He holds degrees in Theology and Philosophy from Marquette University and a M.A. in Theological Studies from the University of Dayton. 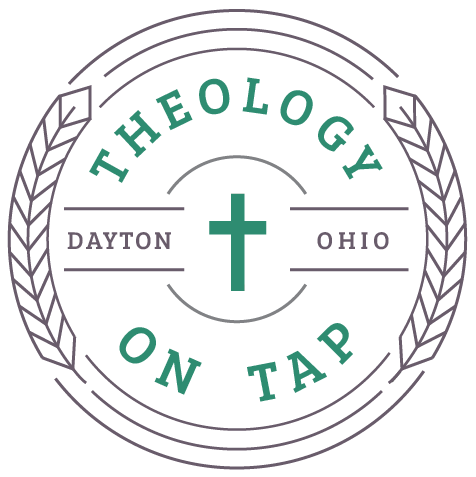 Trevor acted as the founder and director of Totus Tuus in the Archdiocese of Milwaukee and recently worked in Campus Ministry at the University of Dayton, where he taught a class titled “A Theology of Alcohol: Learning How to Celebrate.” He is currently editing a book on the subject and is on track to have it completed in 2018. Trevor lives in Dayton with his wife, Kayla, and works as a Project Manager for Kettering Health Network. He is a lighthearted and thought-provoking speaker who loves to ask ethical questions about daily life. Cheers! We’ve always celebrated but never thought about why. It’s right in front of us, but we misunderstand it. Why do humans need to celebrate? If celebration is an art, who is the artist of celebration? Those around you who give of themselves. What can I give to you? What can I bring to this? What church did you get married in? Why is it meaningful to celebrate someone or something? What advice can I give to college aged family and friends to prevent them from adopting the party mindset I had? How does celebrating make us holy? The best way to celebrate is to give? Correct. How does celebrating the person equate to giving to them? God calls us to be counterintuitive. How does that work? Fr. Greg has been a priest for 25 years and is currently pastor at Holy Angels and St. Anthony parishes in Dayton, Ohio. This week, he talked to us about waiting. Life is a series of waitings―one following another. All waiting is ultimately about waiting for God, for the full encounter with Him that comes after death. However, to some degree the waiting is over: God entered into our time, with Jesus leading us from one day to the next. Slow down. We need time to experience God’s presence. We’re busy not because we’re bad people, but because it’s all we know in our culture. Try scratching out an activity or two in your planner this week. Silence and meditation. Our usual hubbub can drown out the voice of God. Consider starting your prayer with silence. Breathing exercises, repeat a phrase as a mantra, etc. Any revelation likely won’t be an immediate eureka moment, but you’ll have an idea to reflect on throughout the day. Encounter of the sacraments. Eucharist, reconciliation, anointing, are powerful (if disguised) ways of encountering the Lord. Unsure about something in a homily? Reflect on it throughout the day. Interpersonal encounters. Christ is present in the people we meet. Watch your words. Psalm 27: Be courageous and wait for the Lord. Jeremiah 1:5: Before I formed you, I knew you. How do we balance waiting and seeking God’s will? As a non-Catholic, how can I participate in the sacrament of penance? What is your favorite way to bring Christ to others? The Eucharist. Preaching and teaching. How to understand God’s plan in light of free will? He thought you into being before you were created. We can violate His plan by free will. Theologian: “If I didn’t follow God’s vocation for me, is that a sin? Not unless you intentionally rejected it.” Doing that is rare; life is complex and we may have thought we were making the right choice at the time (and we must remain in whatever sacrament we may have entered). Jacob Stange originally hails from rural Indiana where he was homeschooled with his 10 siblings. He now lives in Dayton where his wife leads the home & school for their three children, and supports Jacob’s hobbies. Jacob has dabbled in everything from board games to blacksmithing, calligraphy to carpentry, automotive to martial arts. But he found his real love when he lost his job and discovered that the most exciting adventure is a life lived in the Spirit —no matter what you do. Today, he is a software developer and teacher, spending most of his spare time with his family, working on programs for his parish, and baking. Where is God? God is here. Make it personal. When can we talk to him? Now. Baltimore Catechism: Why are we here? To know love and serve God so that we may meet Him. Fasting is the soul of prayer, mercy is the lifeblood of fasting. Let no one try to separate them; they cannot be separated. If you have only one of them or not all together, you have nothing. How do you break into the loop? We get to know people thru frequent, continuous, intentional encounters. When you have talked with God, you won’t be able to keep it yourself. It will propel you to bring God to others. When can we talk to him? Now. Let’s do it. Say one prayer. Then another one. Then another. Don’t delay. Don’t put off praying because you don’t think you can do it right. Do it, even if you’re doing it wrong. Think as a parent: aren’t you happy to have your kids fall asleep in your arms? Before you speak to God, let Him speak to you. Principle: When I am weak, I am strong in the spirit. Stop using seasonings, salt, etc. What does intercessory suffering look like? Is it a model of prayer? Not really. Is it an attitude? Moreso. How do you teach your kids about these principles? Why won’t we like the next thing the holy spirit suggests? It forces us to change. How do you balance mortification with just being hard on ourselves? Don’t leave tonight and do something too extreme. Sainthood is not as rare as people think. Fr. Chris became a priest in 2016, and is currently parochial vicar at St. Andrew and St. Elizabeth Ann Seton parishes in Milford, Ohio. He brews beer in his spare time. You are made for greatness; you are unique and unrepeatable. There’s a difference between doing something great and being great. How do we achieve greatness? If you want to be great, be holy. Being holy doesn’t mean being boring. All of us can write a blank check to Jesus: “I give myself to you, no matter what.” One way to do that is a Marian consecration; if we give ourselves to Mary, it’s her job to bring us to Jesus. Pope Benedict XVI – “The world offers you comfort, but you were not made for comfort; you were made for greatness. How do we balance enjoying the good things in the world but not getting caught up in the comforts? Live a life of joy (not the same as happiness). Enjoy healthy recreation. Seek comfort when you need rejuvenation. When we seek comfort for comfort’s sake, that’s where we go awry. Can you speak to singleness as a vocation? Everyone is called to holiness, no matter your vocation or state in life. There is something qualitatively different between being a single person vs. married, ordained, or in an order (all constitute a commitment). Different does not imply that one is better or worse. How do you carry out a personal leap of faith? Confession is a tool to erase any barriers keeping you from making that commitment. How can our wounds lead to greatness instead of holding us back? How can fight the temptation to hold back areas of life from God? Ask yourself, do I really know God? If you do, you’ll want to share everything with Him. How do you strive for greatness in a chaotic environment? You have to make time for the Lord. Give your struggles and chaos to Jesus when they happen. How do we help people see what real greatness is in the midst of what the world sees it as? Can you talk about the joy of confession as a priest? You are letting Jesus win the battle for your heart. I’m inspired by the courage people show when coming before a priest to admit where they messed up. How do your distinguish between what makes you great and what you enjoy doing? How do we internalize greatness from something that’s head knowledge to something we believe in our hearts?